Driveways are known for their durability. Whenever people think of driveways, they think of reliable surfaces where they can park their cars, where their kids play on, or where they simply spend time with friends. What's more, driveways often add value to the appearance of your home, so whenever people look at a good driveway, you can almost feel a sort of pride welling up inside you. However, sometimes this isn't the case. Sometimes, when a driveway isn't doing what it should, it can not only affect the appearance of your home, but your loved ones as well. Sometimes, it's time to replace your driveway. Of course, replacing your driveway shouldn't be a hassle. With South Bend Sealcoating, not only will we work quickly and efficiently, but we will also make sure that your driveway fits the appearance of your home. However, despite the work that we do, there are a lot of factors that you should consider. One of these factors is cost. • An asphalt driveway, which is often the cheapest driveway. While many people aren't fans of asphalt driveways, they are often incredibly reliable in terms of weather. • A concrete driveway, which is more expensive than an asphalt driveway, and can last longer of up to 50 years. Not only that, but it can also provide your home with a comfortable look. Despite this, it's also susceptible to freezing whether. • A paved driveway, which is the most expensive driveway on this list. It's reliable, stylish, and can make your home more luxurious than it already is. However, you should know that these types of driveways are often vulnerable to unwanted growth, such as weed or moss. The cost of a driveway also depends on size, overall appearance, and the type of home you have. For example, an individual who owns a house in the suburbs may decide to get a concrete driveway rather than a paved driveway, simply because a paved driveway may look out of place. Having your driveway replaced is a personal, and oftentimes expensive, decision. 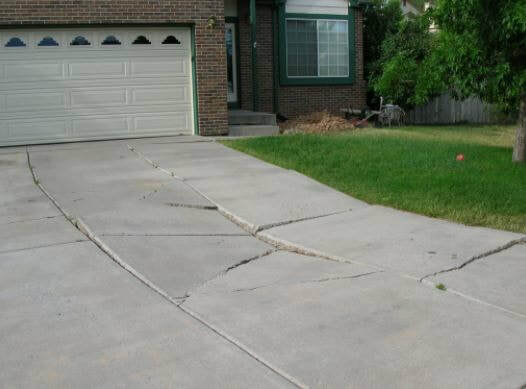 Our company is reliable, efficient, and quick when it comes to replacing a driveway. We will work to the best of our ability to ensure that your home gets the driveway it deserves. Despite this, keep in mind that there are many driveways to choose from, all of which have their benefits. By utilizing this list, you'll be able to get an idea of just how much these driveways cost, as well as what driveway will best suite your home.